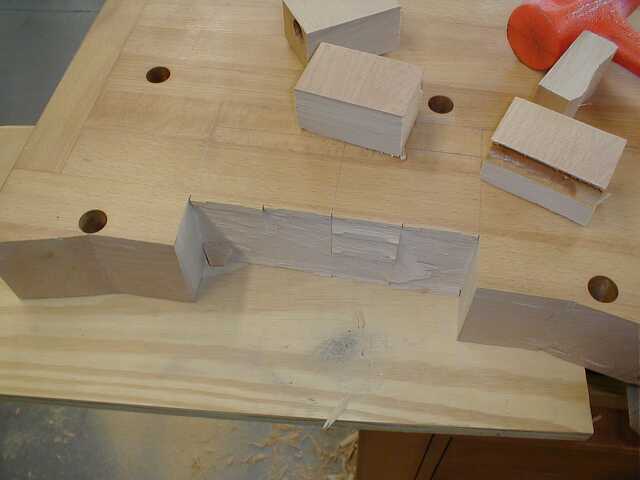 Flush mounting an Emmert patternmaker's vise. Here the bench top is upside down and I'm cutting the front apron away where the vise will mount. 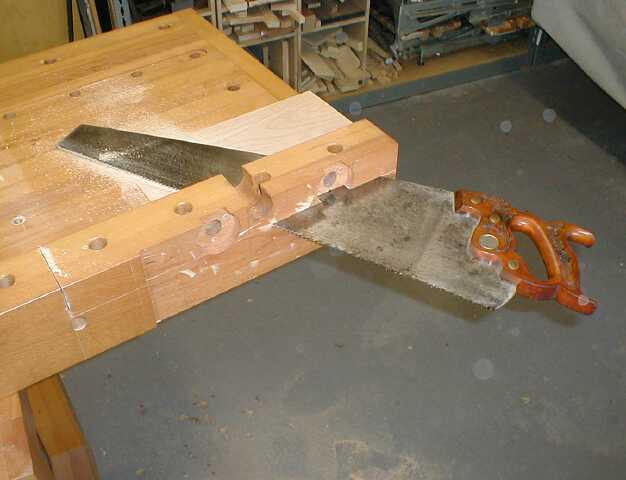 I put a scrap of veneer between the top and the saw to prevent scratching the finish. 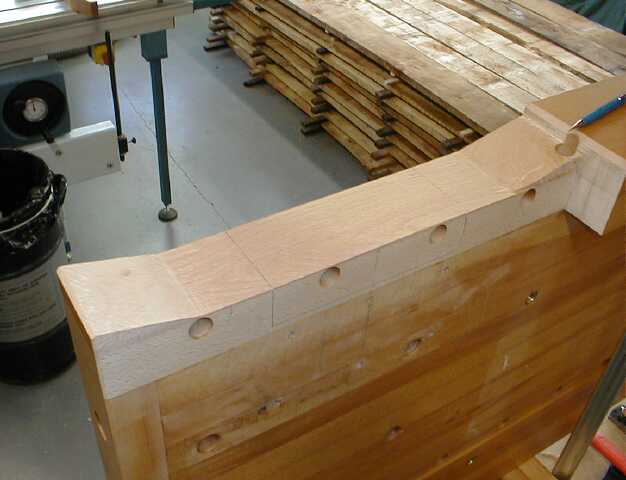 Here's another shot from the bottom after a bit of sawing and chiseling. Here's a top view after cutting out another section. I cut down close to the line and knocked out large chunks with a chisel and mallet. 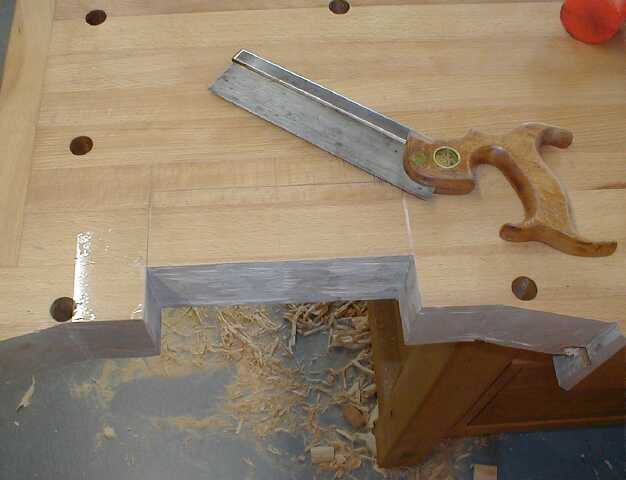 In preparation for chopping out the hinge plate mortise I cut the sides with a back saw. 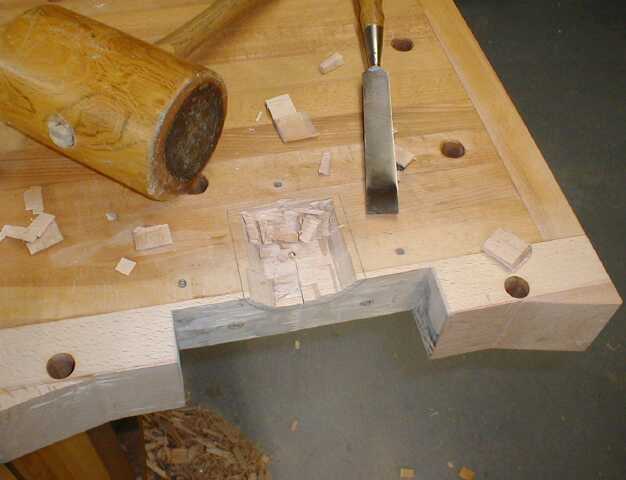 After fitting the hinge plate I turned the top over and began roughing out the recess to clear the collar.